Crusoe the celebrity dog sensation (yes, really) has done it again. His latest video as the world’s cutest hockey player has been viewed more than 17 million times on Facebook alone. If you’re not familiar with Crusoe, we know what you’re thinking. But what else can you call a dachshund with an award winning blog, a New York Times best selling book, more than 600,000 YouTube subscribers, 165,000 Instagram followers and almost 1 million ‘likes’ on Facebook? 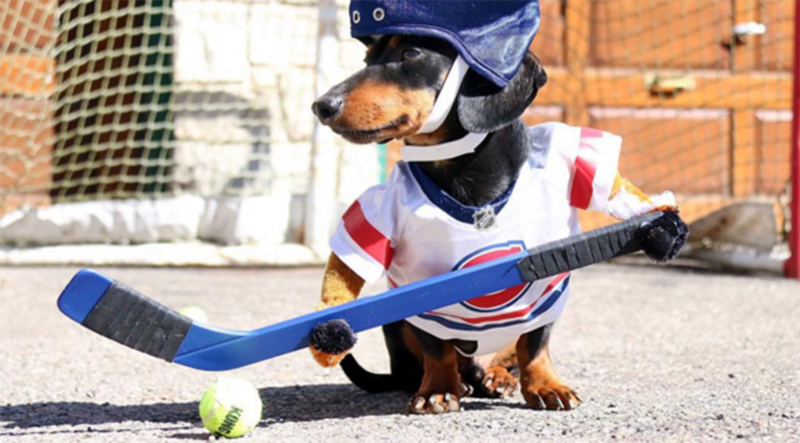 In any case, the video of Crusoe and his doggie mate Oakley playing hockey has been viewed on Facebook more than 17 million times and shared by 235,000 people in less than 24 hours. So… yeah, this dog is pretty famous.